"…and some certain significance lurks in all things, else all things are little worth, and the round world itself but an empty cipher…." 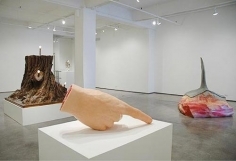 In his second New York exhibition at Feigen Contemporary, John Isaacs, a British artist working in Berlin, presents a body of new sculptures, prints and a film. 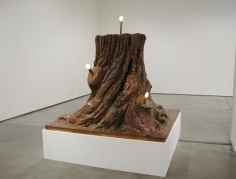 Titled are you like me full of hope and full of fear, the exhibition provides a new staging of his gothic and corporeal artworks. 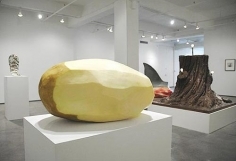 With gentle humor, we are encouraged to reconsider a world gone askew by the clues offered up in fragments of everyday life and the world around us. 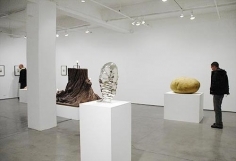 Like bits of an overheard conversation or lines read randomly from the script of a play, five sculptures posited on plinths and posed in the main gallery form a non sequitur of isolated yet connected realities. 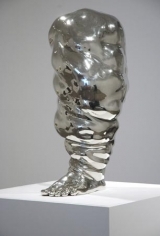 A highly polished bronze sculpture of a flabby leg is both seductively elegant and repulsively abhorrent. 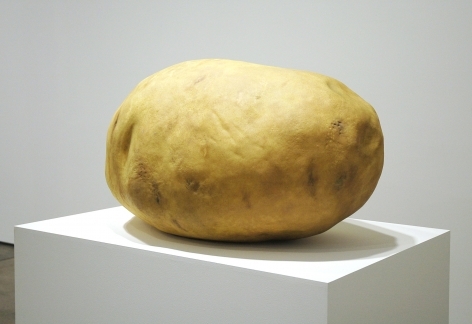 In contrast is an over-sized half-peeled potato made from wax representing an everyday action of something either half-started or half-finished. 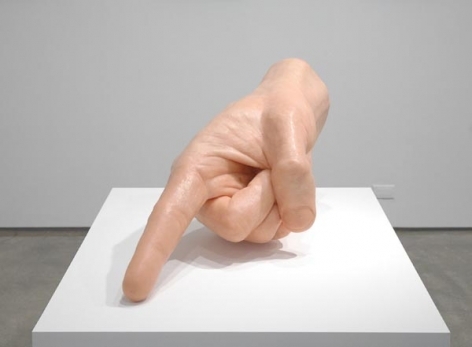 The powerful gesture of a giant pointing hand that seems to have tumbled down from a statue of some deity or historic ruler imbues it with an aura of the absent figure. 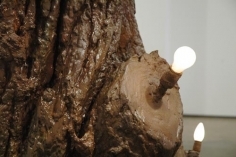 A truncated tree made from plaster is lit with a meager light bulb sprouting at the end of each amputated branch and stands like a tragic lighthouse incapable of offering any guidance or safety. 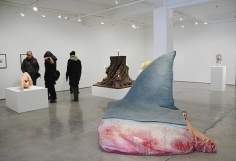 And, the imposing sculpture of a bloody shark fin severed from the formidable predator serves as a cultural icon of fear, terror and irrational belief. Impossible Dreams, a series of prints reproducing found newspaper cuttings about protest with Isaacs' own photographs inserted, forms the backdrop to the exhibition. 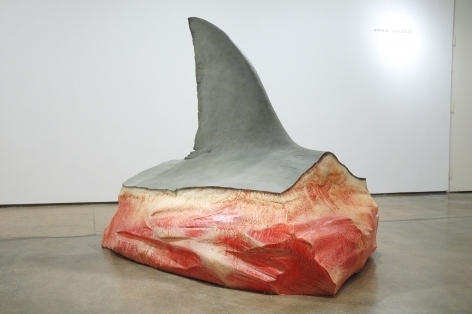 Isaacs dreams of a world in which thought precludes action, in which the theme of protest melts away from the dialectical to the everyday emotional landscape of the individual elevated to the societal. 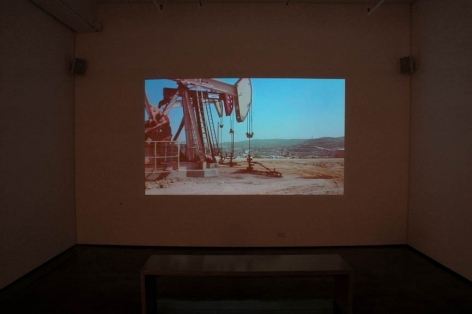 Also on view will be a film shot on location at a California oil field showing an army of archaic looking machines appearing like animated behemoths unceasingly extracting resources from the earth. These oil pumps unceasingly and rhythmically go through the motion of extracting oil from the earth. 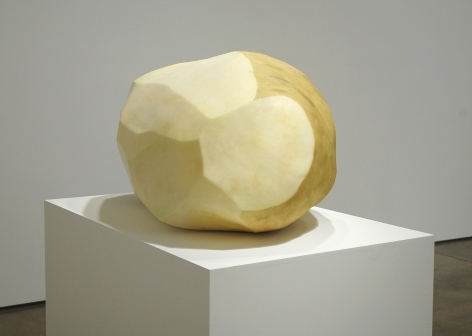 Isaacs documents their movements to show them as they are, objects that look like something from our technological past, crude machines doing a crude job. The hypnotic quality of their incessant movement, is like the open road itself, seductive and ever moving, but after a while one begins to feel a fear creeping up ones spine…what if the movement were to stop. 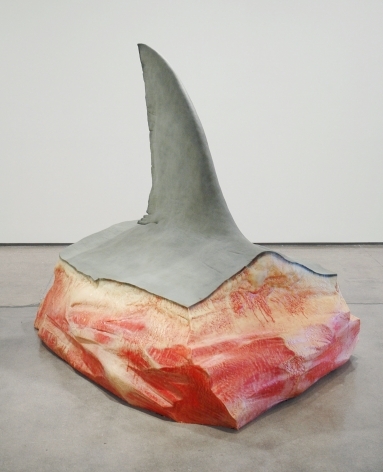 "Running alongside the seeming directness and simplicity of Isaacs' work there is a pervasive current of unease and anxiety that identifies our modern way of life and its thinking as somehow warped, disjunctive and off balance." 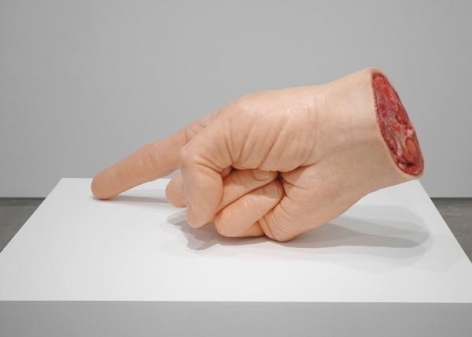 John Isaacs offers a utopian vision in which polemic thinking is replaced by a darkly wry and whimsical open-ended world.